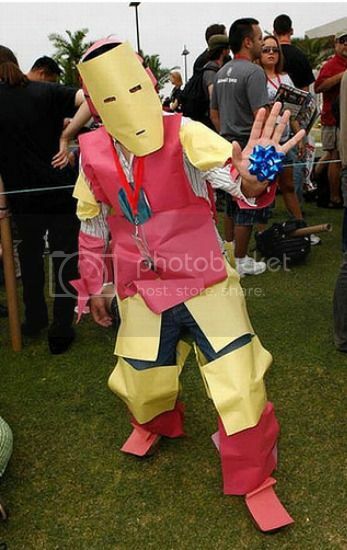 You see a Paper Iron Man costume. I see Edward Scissorhands’ whipping boy. Kidding aside, this guy is clearly the MacGyver of cosplay. I mean, he made an entire costume out of the discarded remnants of an unwrapped gift. Cheers, fella. Also? Snip, snip! Ha, ha. Gotcha. Via Geek Orthodox, who fights–but never runs–with scissors.